When I started baking years ago I remember being perplexed by certain recipes. Cakes and brownies would always turn out well but a) chocolate chip cookies and b) muffins never worked for me. 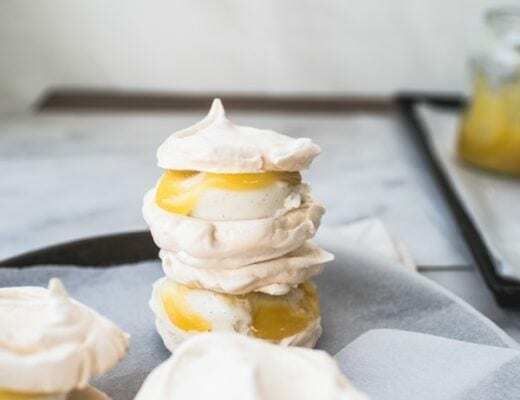 I have to say that I blame this on me using recipes from ‘older’ English cookbooks – the ones with the types of recipes we’d be taught for basic cooking skills in Food Technology lessons at school. 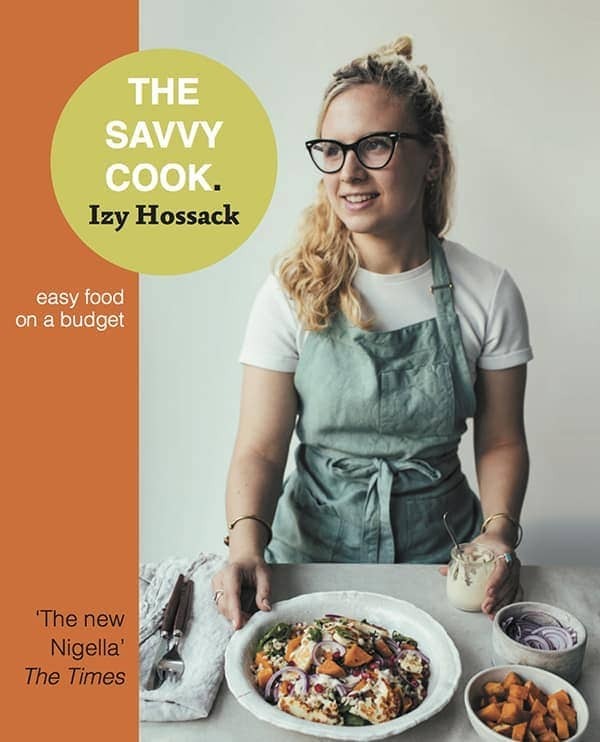 Let me tell you something, those cookbooks are great if you want to make hot cross buns and Victoria sponges but terrible for quickbreads, muffins and cookies. Due to the frustratingly dense muffins I had baked in the past, I was on a mission to find a better batter. 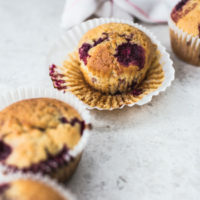 The first ones which came close to what my idea of a ‘muffin’ was, were the internet famous Jordan Marsh Muffins from Cooks.com (the most hilariously retro looking recipe website I’ve ever found). Due to the incredible amount of sugar they contain, I’d say on a scale of cake to muffin, they come closer to dessert than breakfast treat. I still make them, on occasion, but have been searching for something a little more healthful. 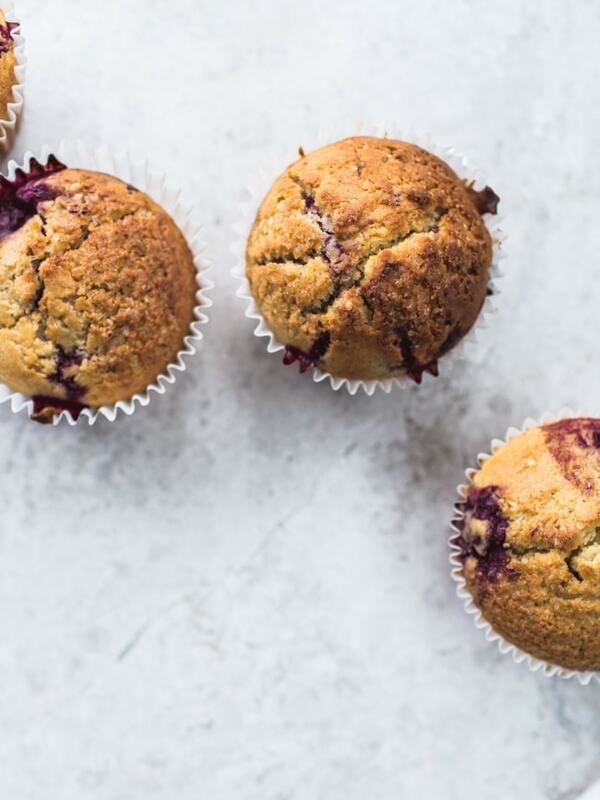 That’s where these muffins, from Amy Chaplin’s new book At Home in the Whole Food Kitchen, come in. They’re still tender and cakey due to the ground almonds and coconut oil with a gentle sweetness from maple syrup. The cornmeal adds texture, flavour and a lovely golden hue to the batter. The recipe originally uses blackberries but due to an abundance of loganberries from the allotment I used them instead. 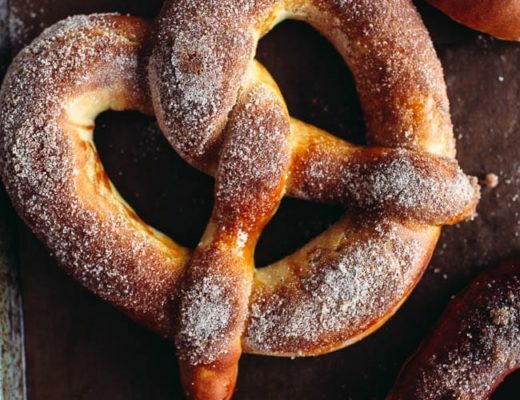 They’re perfect on their own and maybe even better the next day, split and toasted with a smudge of almond butter. – The original recipe called for 2 tbsp of chia seeds instead of 2 tbsp of ground flaxseed. I used flax as I prefer the texture but chia seeds will work just as well. 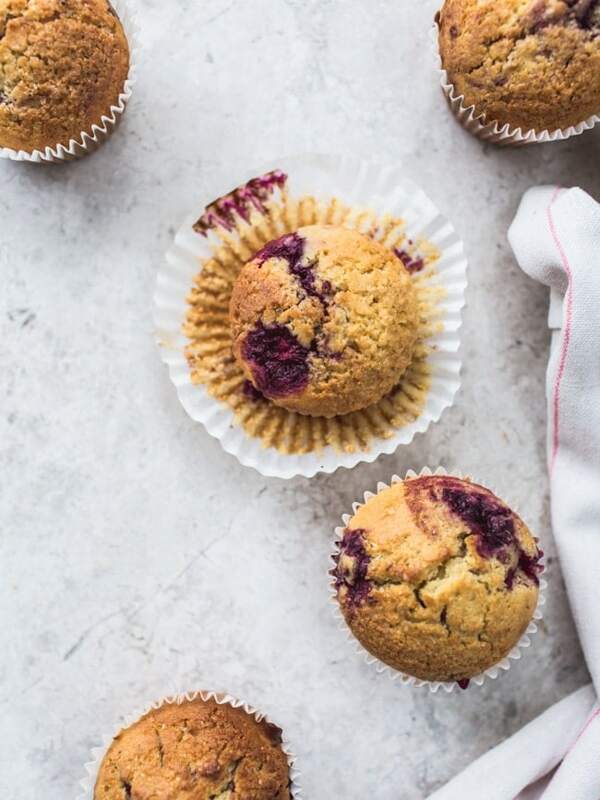 – Amy notes that if you have no cornmeal on hand you can replace the cornmeal with 1/2 cup (50 g) unsweetened, shredded coconut which has been pulsed briefly in a food processor. Preheat oven to 350 F (180 C). Line a standard muffin tin with 10 muffin cases and set aside. Whisk together the ground flaxseed with the almond milk in a medium bowl and leave to thicken for 10 minutes. Sift the spelt flour and baking powder into a medium bowl. Add the cornmeal and ground almonds and whisk to combine. Add the orange zest, orange juice, coconut oil, maple syrup, vanilla and salt to the flaxseed mixture. Whisk to combine then add the dry ingredients and stir until just mixed. Add in the berries and stir them in briefly. Spoon the mixture into the muffin cases, filling all the way to the top, and bake for 30-35 minutes or until a toothpick inserted in the centre comes out clean. 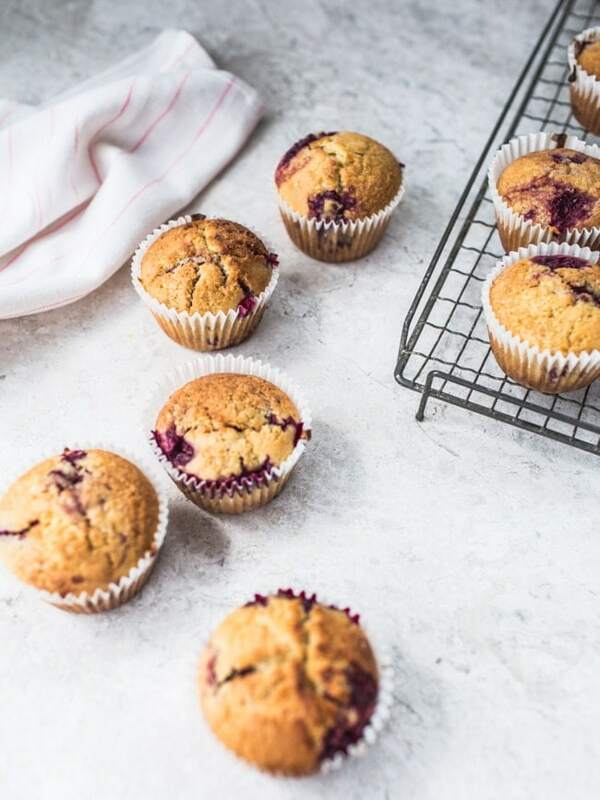 Remove from the oven and allow the muffins to sit for 5 minutes before serving or transferring to a wire rack to cool. They look lovely, always nice to have fresh berries in muffins. My problem making muffins is trying to restrain myself from mixing the batter too much, can’t bear to see lumps of flour! These are sooo pretty Izy. And the idea of having one toasted with almond butter is seriously making me drool! 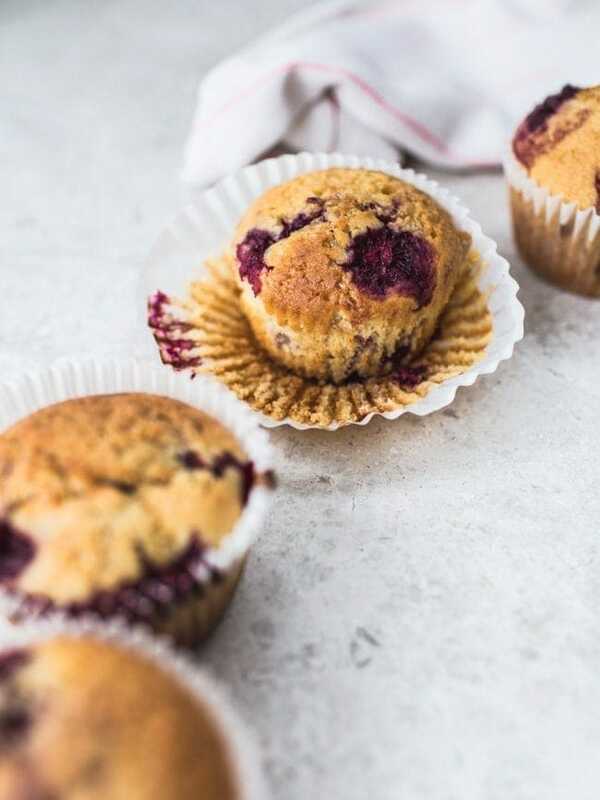 I LOVE how your muffins came out: super cute golden color and the loganberries add the perfect pop of color and summery touch to this recipe. Plus, they’re vegan! I’m in a bit of a muffin funk myself right now! I can’t work out if it’s my oven or the recipes… the tops always come out meh/flat rather than high and lovely (like these). These look amazing and the loganberries are such a nice touch! wowowowowowow! 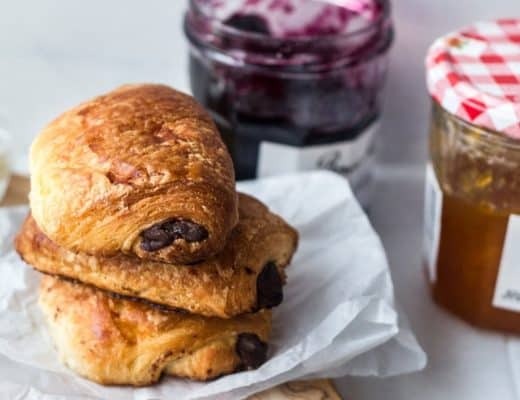 I have been looking for something delicious to start off my weekday mornings, and I think I just found them. These look amazingly deeeeelish! Magnificent photos too. Thank you, Izy! I made these yesterday with blueberries and I can’t stop eating them! Not overly sweet and the texture is perfect! thanks for the tips, I’ll try at home.. yay!! the perfect (and healthy) muffin has been achieved! Yeees! Izy, your vegan recipes always kill it. Also anything cornbread is a tie for my desert island food. Love. Oh, these muffins *_____* I completely love this recipe, seems perfect!